Born & Raised in Santa Barbara, CA. hair is Jorge Salgado's business. Established in July 2016 The Barber Shop's vision was to bring early Americana back at its finest. Jorge strives to give the best service and experience this industry has to offer. The Barber Shop leases independent space to local barbers and stylists offering haircuts, hot towel treatment, and straight razor shave. 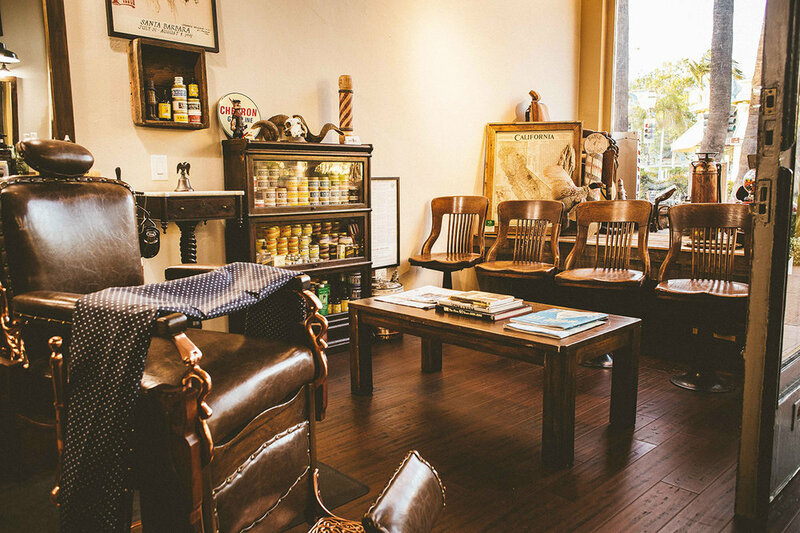 The vintage classic decor features unique wooden barber chairs that date back to the early 1890's. With the new location at 1233 State St. Jorge was able to incorporate his skills & knowledge by adding on the Victorian Salon, a unique space in the back for men and women in addition to The Barber Shop. Make sure to stop in and enjoy a complimentary beverage and good vibes.